Curious what color G's we have out there. I think I like Lunar blue but cant find a photo of the G in it in real life. I know lunar changes colors alot form blue to purple ish to almsot black at night. Seems cool. What color is the G at the link here, Obsidian? How does Obsidian act - is it true black? Is this suspected as Obsidian? Obsidian is not true black. It is metallic and looks almost dark grey in bright sunlight. Did not pick it on mine because I didn't think it was dark enough. Good looking out. I want mine to be black but the USA site build doesnt allow the Night Package to be built with Black paint. Wonder if that can be over riden by a dealer. Although I am still waiting to see Lunar. I might get a color, and then have the truck wrapped in a year magno black when I am bored of the color. Hmm - fun ideas. Stunning in blue. Love it with the black mirrors. Thanks man - it is BEAUTIFUL! Every organized crime figure in various demographics seems to own one. Black looks horrible with paint scratches, etc.. does not show true lines of vehicle, etc... can anyone out there make a statement and buy something with some punch? They say resale is best with black yet this is another myth. 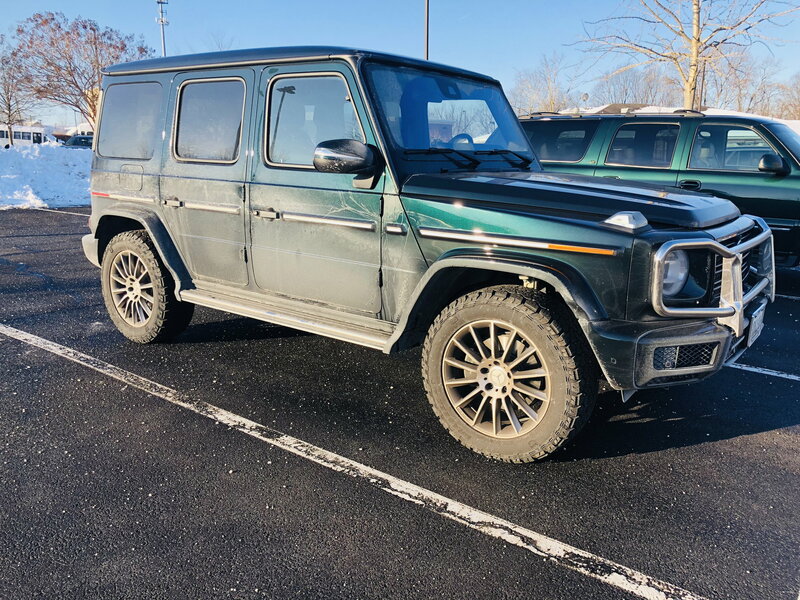 There are so many black Gs ou there that you have that many other vehicles to compete with when you sell. Then again those of you who lease couldn’t give a dam. Try desert sand, olive green, emerald green. Only in America, China and Russia is black everywhere. Hmmm. I personally think a clean black, waxed or with a ceramic coating, is one of the best looking colors. Scratches look terrible on any color. Also, a lot of people don't want or need to make a statement with a loud color. I do really like the desert sand and the greens you mentioned, but I still went with black on ours. Everyone has their preferences but I certainly don't think people pick black because of a lack of imagination. Haha, criminals! I for one LOVE the G in black. It is sinister. I get to be a businessman by day and a bad A$$ by night. I had a full black G pervious (even did some off road trails with it in Vermont). I hear you though there are just SO darn many Gs in black. It is a bit boring to look at the photos. I always love to see a color. I just have a hard time loving a color long term outside of Black. But with the ease and durability of wraps these days, i might wrap mine biannually. I have an order in for Lunar Blue, my first not black car since 2008. Ordered Polar White with Night package, Macchiato beige interior, build date second week in March. Living in Scottsdale AZ makes you regret black. Jim - When did you submit it to dealer? 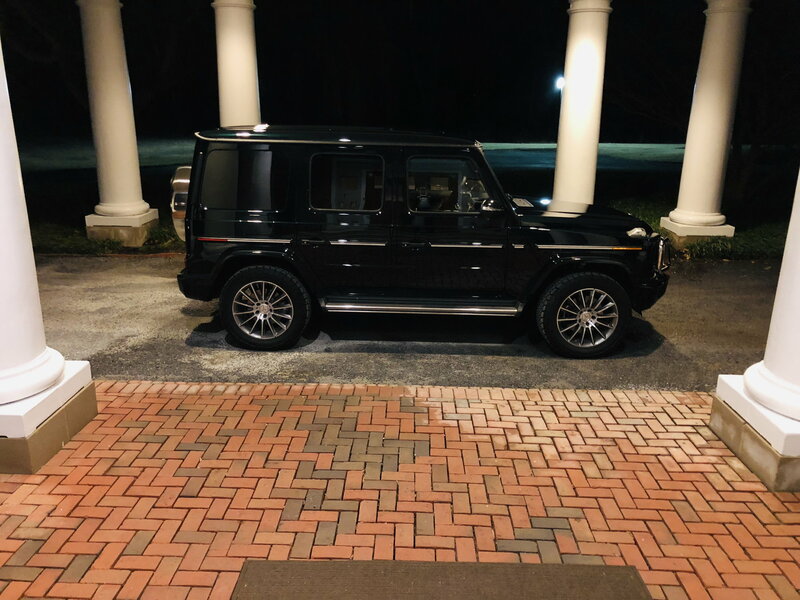 When I took delivery of my GLC63 I made it part of the deal that I wanted a G Wagen and they found /had an allocation so that was 11-19-18. I turned down a black one that they had coming in as I couldn't live with a black one in the desert. 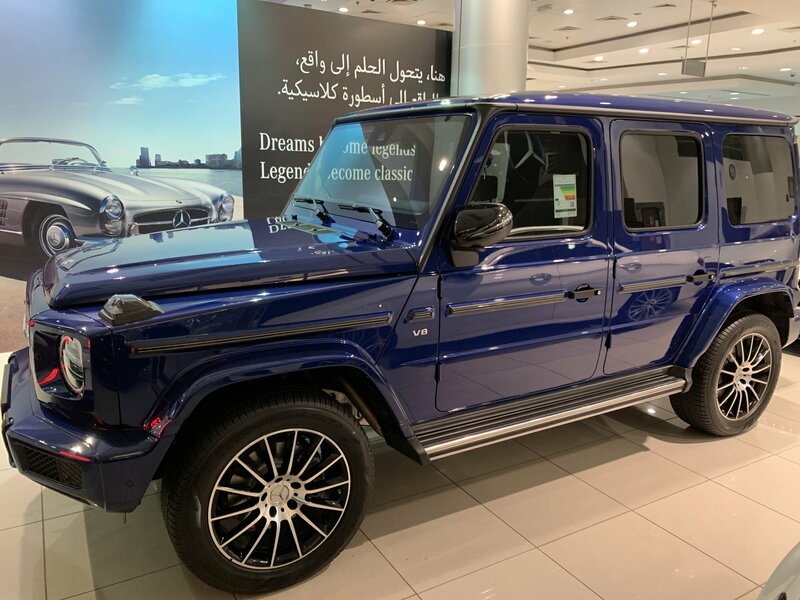 I found a short video of the 2019G63 in Lunar Blue. Looks pretty good. It'd be my first non-black car. Couldn't agree more. I think without the black package it looks pretty weak. With it I think it'd be a top (no $ required) color choice. But it needs the black package for sure. Mine is selenite gray with macchiato beige. Night package and comfort seats. Heated steering wheel. I ordered it well over a year ago and got it in October. It’s the 550. I should’ve ordered a 63, but didn’t want to get too high in price, and the dealership didn’t seem to know what the price would be at that point. Maybe in a few years. I love the brilliant blue and some of the greens I’ve seen on here. Even the cardinal red ones I’ve seen (not usually a red car guy) are stunning! I don’t know if I’m brave enough to get something with color. I’ll just admiring the pics of other G’s through the group. 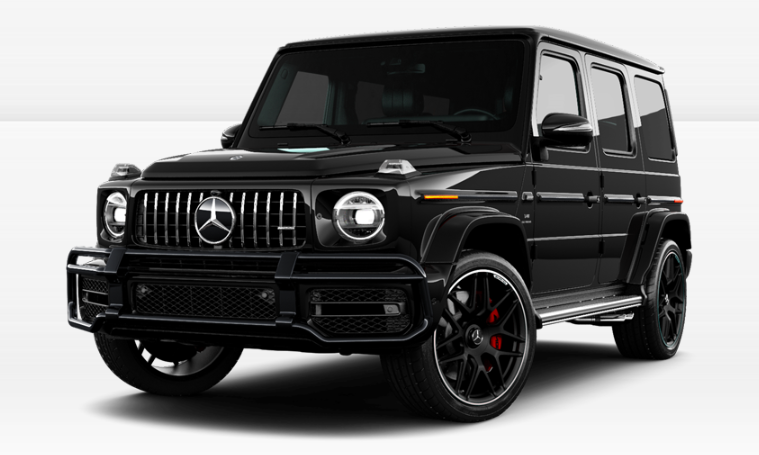 Does anyone know if dealers in the US can override the build to add both "black" paint with the "AMG night Package"? On the US site, you can not select both. Quick Reply: What color is your G?